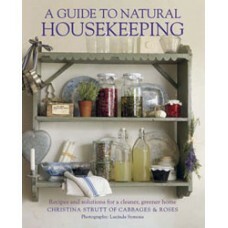 Christina Strutt of Cabbages & Roses reveals how to have a calmer, healthier, eco-friendly home. Saving the planet for future generations is a laudable aim, but what about the current populace? Why wait when even quite small lifestyle changes can make a big difference now? 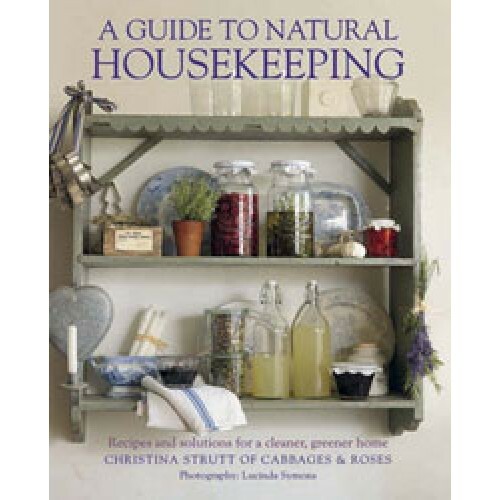 A Guide to Natural Housekeeping is full of advice and information to help you take a more sustainable path. Recycling, reusing and shopping at farmers markets are a good start, but cutting down on the use of poisonous chemicals is just as important it s perfectly possible to clean a house using nothing more than lemons, bicarbonate of soda, vinegar and plain water. Here old-fashioned methods are complemented by newer ideas and innovations, and applied not only to cleaning but also to caring for clothes, furniture, and even silver and glassware. To become eco-friendly doesn t require self-sacrifice just some readjustment; and by following the advice in this valuable guide you will find yourself living a calmer, greener life.